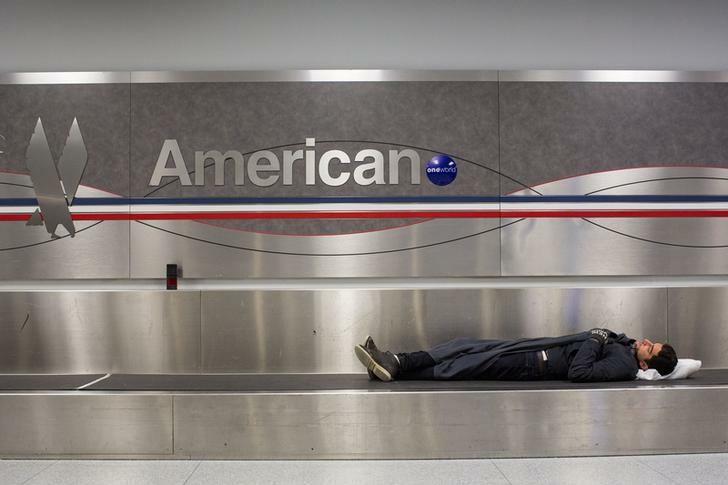 (Reuters) - American Airlines Group Inc on Friday lowered its plans for capacity growth in the United States, seeming to heed investors' calls to slow its expansion in light of weaker-than-expected travel demand. American, the world's largest passenger carrier, said it expects total 2015 capacity to grow about 1 percent compared with 2014, versus an earlier forecast of 2 percent growth. While its international expansion forecast remains unchanged, it said U.S. capacity will grow between 1 and 2 percent this year, compared with a prior outlook of a 2 to 3 percent rise. The airline did not offer an explanation for the change, although it recently has taken other actions such as deferring the delivery of 35 Airbus Group A320neo family jetliners to keep capacity in check. The Fort Worth, Texas-based carrier also said it expects to retire one more Boeing Co 757 plane that it previously planned. It expects to increase its regional fleet of Bombardier Inc by 21 CRJ900 aircraft, compared with earlier guidance of adding 25 of those planes. The U.S. Department of Justice has launched an investigation into whether U.S. airlines have worked together illegally to keep airfares high by signaling plans to limit flights.